The more, the merrier! 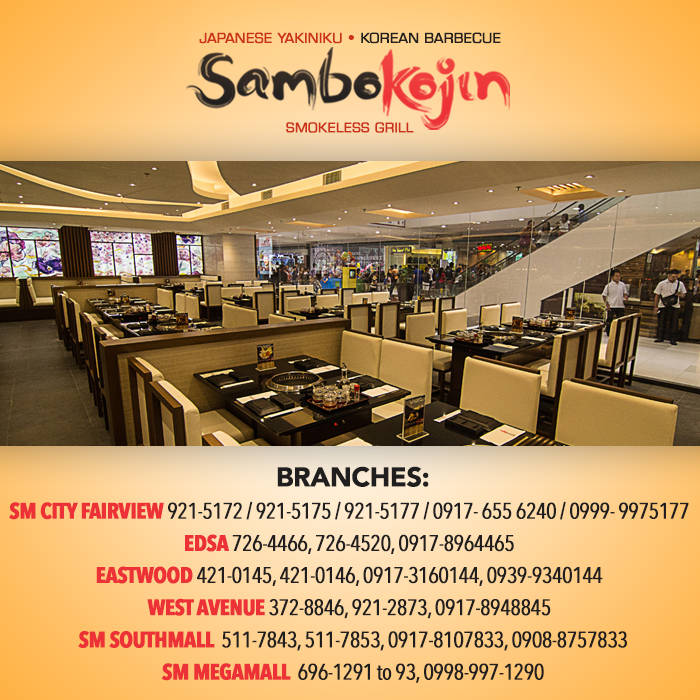 Now you can save more at SamboKojin and still enjoy the same authentic Japanese and Korean specialties you've been craving for. 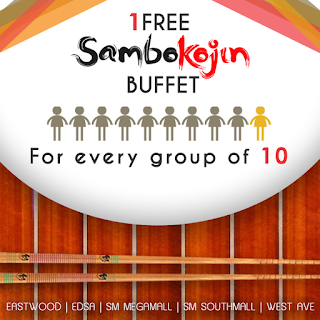 For every group of 10, 1 person from your group will eat for FREE! 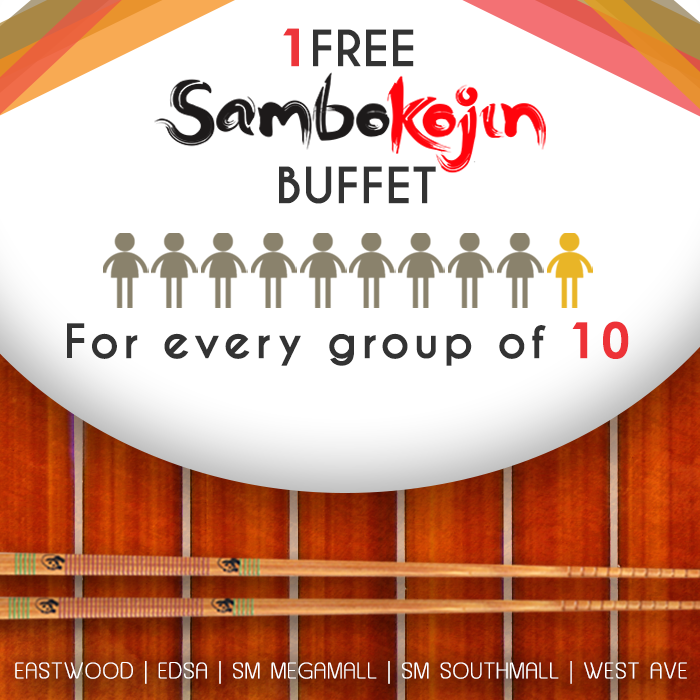 This promo is available in all SamboKojin branches. 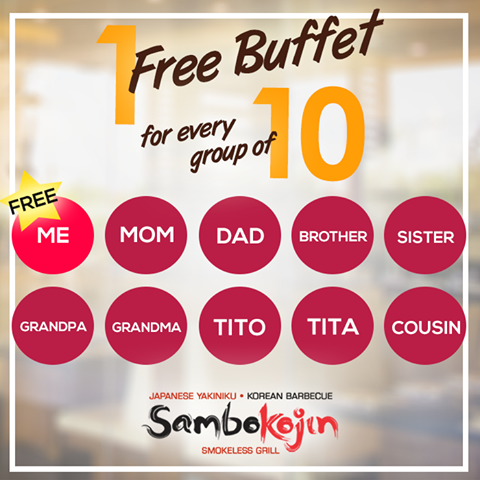 For every group of ten (10) adult guests who will dine-in at any participating restaurants is qualified to avail of one (1) FREE buffet. This promo is not valid in conjunction with any other promotions. All Firstfoods Food Services, Inc., Golden Reef Food Services, Inc., Kitchenjin Food Services, Inc., Breakthroughs Food Services, Inc. and Firebearer Food Services, Inc. personnel and their relatives up to the second degree of consanguinity or affinity are not qualified to join the promo. Check Sambo Kojin Buffet rates HERE and HERE.